Four Starts, One Win, Two Seconds and Third. Not a bad start to your CV. That's the current situation for 3yo Colt MASTERBRAX who broke through in fine style at Echuca today. The son of Eurozone was having his fourth career start for champion trainer Darren Weir after three solid placing's leading in to today's 1200m. Ridden by Dean Yendall the heavily backed Masterbrax settle midfield from barrier 5 before cruising in to the race at the 400m with plenty to offer. After giving the big colt plenty of galloping room as they swung for home Yendall quickly cruised past the second favourite Zoology before holding the 4yo to a narrow but comfortable long neck margin on the line. 'When I asked him to quicken he did really quickly, however when I did get there he sat up and wanted to have a look around. I think there's a lot of upside'. 'Maybe sitting off them and having the last shot of them will teach him those traits. He's a lovely horse to get on with and a gentle ride'. Dean Yendall Post Race Masterbrax from Dalziel Racing on Vimeo. 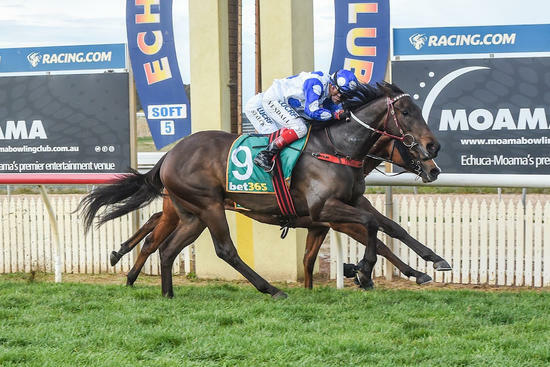 MASTERBRAX WINS AT ECHUCA 18 Sep 18 from Dalziel Racing on Vimeo.